A perfect childhood past-time! 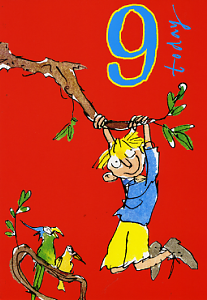 A tree and a child's imagination makes for many happy hours playing and hopefully not too many scrapes! 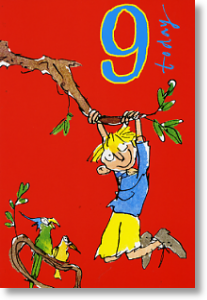 Wish a very Happy 9th Birthday to the intrepid adventurer with this bright, bold card illustrated by Quentin Blake.